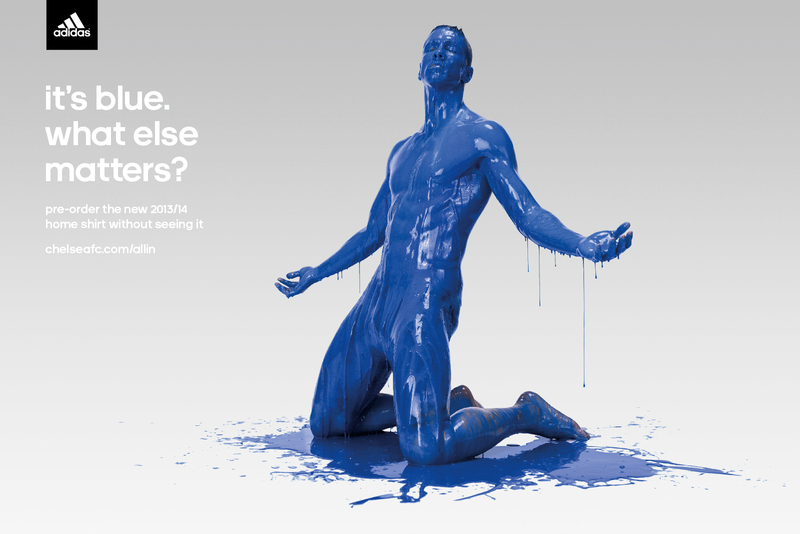 A shirt launch campaign that tested True Blue mentality of Chelsea fans by challenging them to buy the new shirt without seeing it. I worked on the art and design direction of the campaign. 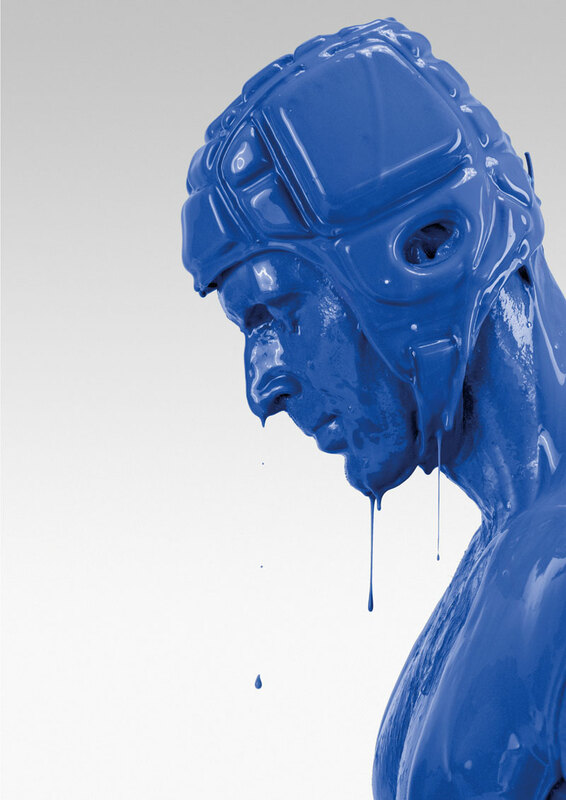 Its Blue. What Else Matters? 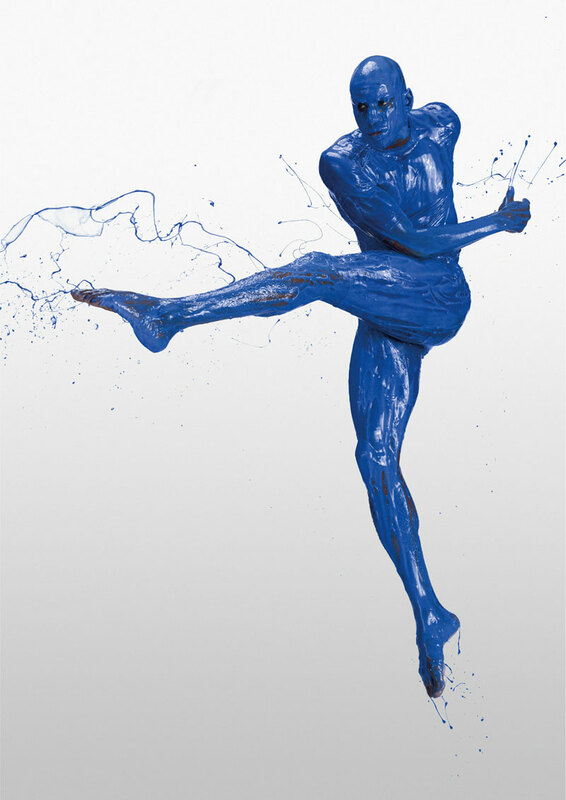 The campaign Chelsea players to step off the conventional new-shirt-catwalk to demonstrate their passion for the club by immersing themselves in Chelsea Blue. Literally. 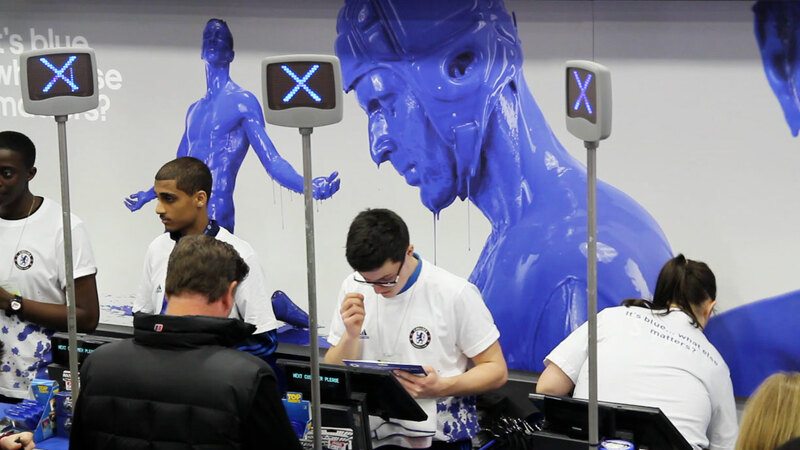 Staying true to the spirit of True Blue, the design direction focuses on the completely immersed Chelsea players single-mindedly. 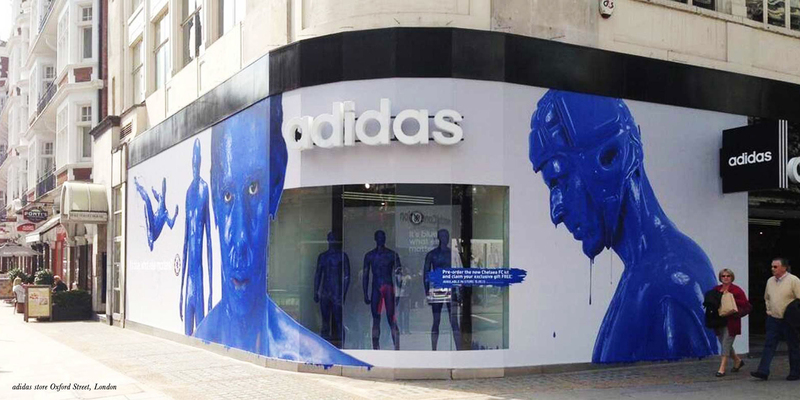 From retail shop fronts to in-store posters to website takeovers, every channel the campaign reached out to were completely immersed in blue.